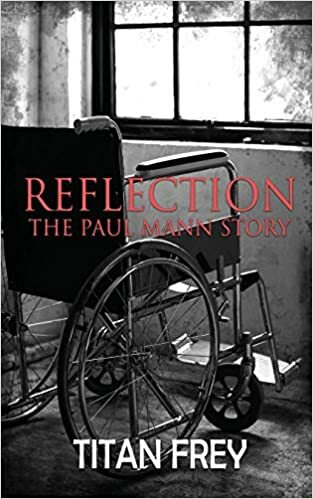 Reflection: The Paul Mann Story by Titan Frey is an amazing work of fiction interweaving alternative history within it. Paul Mann is 104-years-old and in a nursing home. Every day he writes in his journal about his life and has a sack of journals that tells the story of his lifetime. 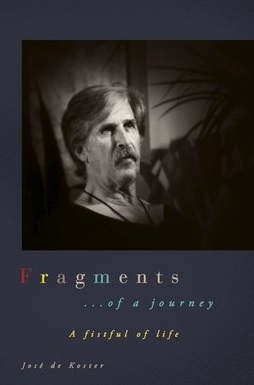 He is reunited with his son and grandson in this book, where Paul tells his story through his journals. An intimate family relationship is born between grandson and grandfather where we see the hectic, heartbreaking, and even heartwarming life Paul Mann has led while also following his current adventures. I love this book. It was intriguing and hard to put down. At first, I did not like many of the characters, but then I saw, as their story developed, that they were shaped by their pasts. The main characters are well-developed in that sense, and we get to know these characters as if they were complex, real-life people. It truly felt as if I was witnessing these events pass and getting to know them. I would have liked to understand the side characters motivations more, though, as they did seem cruel without real reason. Though sometimes, that is the harshness of the world, and this book’s theme seems to be how callous and brutal the world can be, but that love is still important. The main aspect of this book was learning about Paul through the eyes of his past in the form of a journal, and it was done so well. I love how the journals truly seemed to be written by Paul Mann. It shows incredibly strong character development. I liked the idea of learning about someone through journals; it put me in the mindset of Marlin, the grandson, where I felt like Paul was my grandfather and I got to connect with him in that way. Frey does a marvelous at humanizing her character and allowing you to grow attached to them. This book is an emotional roller-coaster with lots of twists and turns. Terrible things happen, but you get to see the love Paul has for his family, and that beauty shines through. The portrayal of the nursing home struck a chord with me and made it relatable; at least to me. It made me feel for the residents, especially Paul. In a way, this book made me feel more connected with my own grandmother. I highly recommend this book. It puts you in the head of an older person by relaying their life experiences. It also shows how sometimes you do not really know a person or how they came to be who they are until you take the time to listen, or read in this case. The book also illustrates the importance of life and spending time with loved ones. In addition to valuable lessons, the book is also intriguing, thrilling, and mysterious. Marlin and his grandson truly have a special bond. Posted on February 27, 2019, in Book Reviews, Five Stars and tagged alibris, author, author life, authors, barnes and noble, biography, book, book club, book geek, book lover, bookaholic, bookbaby, bookblogger, bookbub, bookhaul, bookhub, bookish, bookreads, books of instagram, booksbooksbooks, bookshelf, bookstagram, bookstagramer, bookwitty, bookworks, bookworm, diary, ebook, elderly, family, fantasy, fiction, goodreads, grandma, grandpa, grandparents, ilovebooks, indiebooks, journal, kindle, kobo, literature, memoir, mystery, nook, novel, publishing, read, reader, reading, reflection the paul mann story, shelfari, short story, smashwords, story, titan frey, veteran, writer, writer community, writing. Bookmark the permalink. Leave a comment.